Voltage, loads and harmonics in a network change over time. To detect a problem in a network it is necessary to be able to monitor these changes in a reliable way. To do this we use various pieces of equipment including Unilyzers, VIP & Fluke meters. The Unipower 812 Unilyzer has eight channels with transducers for measuring voltage and current .The system calculates true root mean square values for voltage and current and it also calculate the active and reactive power, apparent power and power factor. 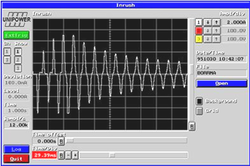 During measurement, an oscilloscope picture of the signal for waveform Analysis is displayed. Harmonics can also be measured and displayed in bar diagram or table format. The Instrument software carries out analysis of the measured data against international standards such as EN50160. Load analysis, V, A, W, VA, Var., kWh, kVArh, PF, cos (phi), IFL, PST and PLT measurements. Disturbance analysis (transients, drop-outs etc.). Start sequences / in-rush current studies. General purpose measurements (4-20 mA transducers). Real time measurements can be performed. When measured, waveforms, energy parameters (V,A, W, VA,VAr, kWh, kVArh, °C etc.) and harmonics are displayed in real time. It is also possible to start a logging sequence from real time mode. All measurement values are stored in a file on a PC. The measured data can be analysed and documented later. 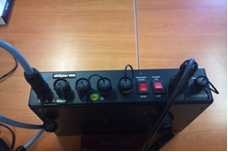 With our disturbance analysis equipment it is possible to capture transients, short dropouts (outages), sags, surges and deviating voltage levels etc. 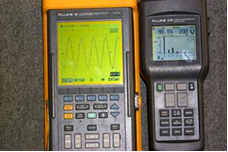 For example, by selecting a nominal voltage level and maximum deviation allowed, the equipment then monitors the waveforms of the three phases. When a disturbance occurs the equipment immediately captures, stores and displays the disturbed waveform. When used in the oscilloscope mode, this allows the simultaneous viewing of the waveforms of voltages and currents etc. In the phasor diagram we can study the phase relationship between each phase of voltage or current. This can be extremely useful in checking the operation of directional relays, impedance relays etc. The Unilyzer and VIP Energy Analyser is complemented with the use of a Flukescope Digital 50MHz Storage Oscilloscope, and Fluke 41B which can be used to carry out in-dept investigation to Power Quality Problems. Unilyzer 902 measure all periods without time gaps to ensure highest possible accuracy. The Unilyzer 902 has also a built-in hardware PLL (Phase-Locked-Loop) locking to the fundamental. Unilyzer 902 measures simultaneously voltage, current, power, energy and all power quality parameters. 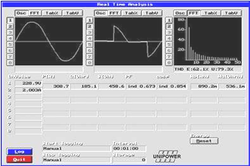 Connecting Unilyzer 902 to a (portable) PC and you have the ultimate real time instrument including eight channels oscilloscope and harmonics graphs. Four independent channels capturing sags, swells, event capturing, fast transients (1us), interruptions, frequency & deviations simultaneously.Two software programs for evaluation of measured data are used – PowerProfile and Unipower Report. Power-Profile gives all information about the measured parameters in graphical form. Unipower Report evaluates a measurement according to recognized standards such as the EN 50 160 and automatically produce a report. Another possibility to evaluate measure data is to import the data to a standard spreadsheet such as Microsoft Excel etc.